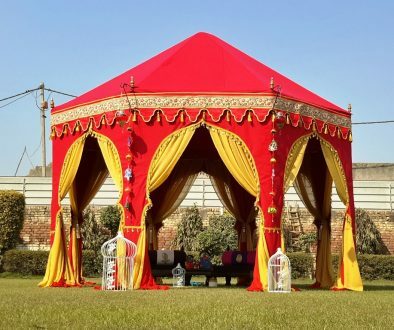 Sun shades & Garden Umbrellas are the best bet to provide shelter from the scorching sun on a family picnic or a private lawn party. We provide a wide range of beautiful Garden Umbrellas and Sun Shades to choose from. 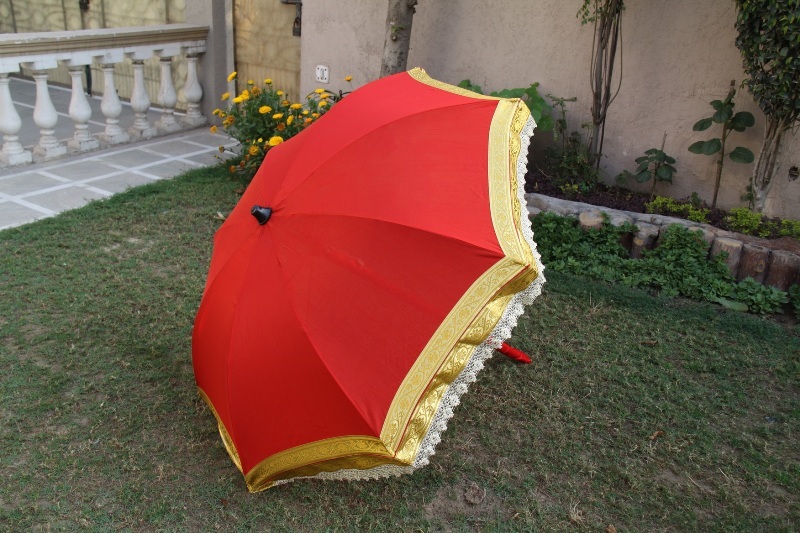 Presenting our Best Seller, the AppliQue Work Umbrella, it is made in bright colored Cotton fabric with hand patch work, mirror and thread work on it. 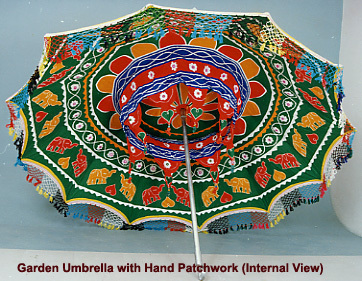 The beauty of this Umbrella is, that the inner lining also has the same intricate work, to hide the metal frame. 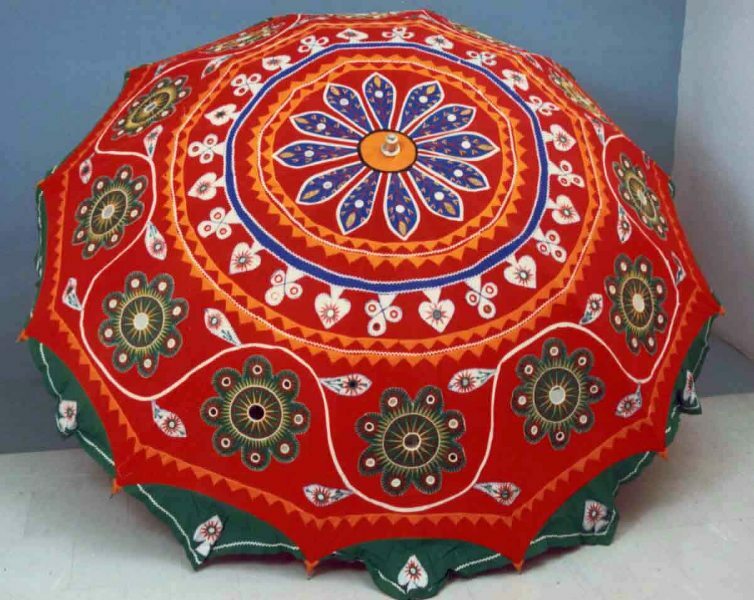 This Applique Umbrella comes in 6ft diameter size and can be easily installed in the garden and on concrete and tiled floors as well. 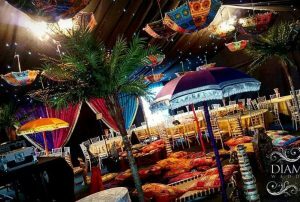 Add more brightness and color to your Indian Style Theme Wedding by introducing some brightly colored Silk Umbrellas to your event venue. 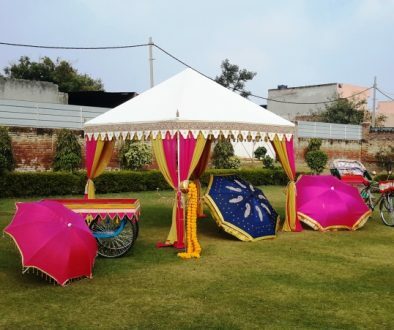 These Fancy Umbrellas look very trendy and up market as decoration and also wedding props for photography. 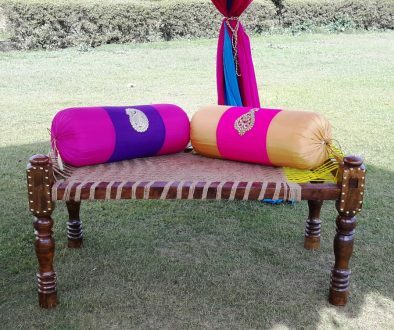 The Indian raw silk come in many hues and shades and the most commonly liked are Red, Yellow, Blue and Purple, call us today to check out and match more colors for your wedding theme. 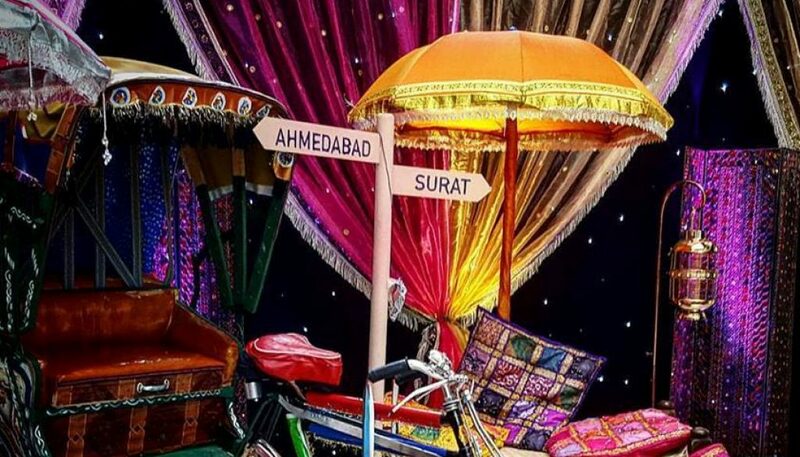 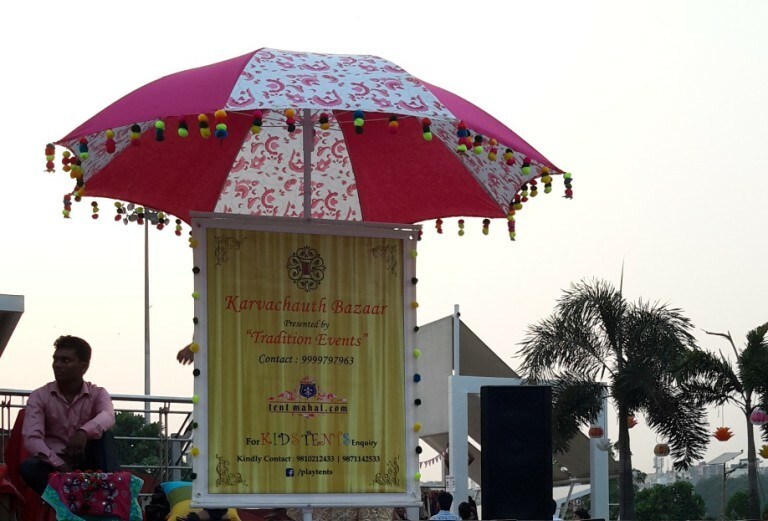 Party Umbrellas and Table Umbrellas are the latest fad this season, fancy Umbrellas are being used in product launches, parties, corporate events, book shows and baby showers. 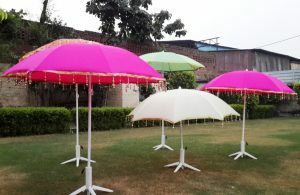 We make the best quality Party Umbrellas and supply them world wide. 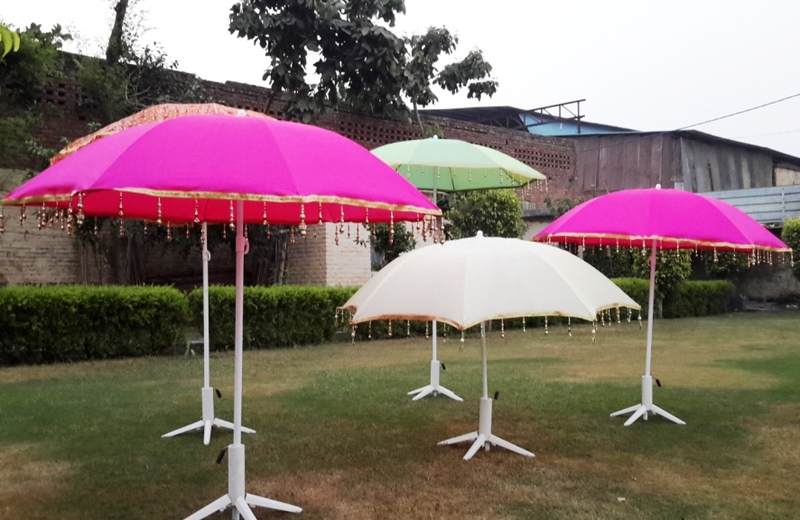 You can choose the color of the fabric, embroidery, lace, hangings, tassels, embellishments and beaded laces to make your Garden Party Umbrellas look more fancy and up market.